Will Minecraft ever be on Steam? I know this sounds kind of dumb at first, I mean, If they wanted MC on steam, why didn't they just put it on steam to start with? But imagine how cool it would be. Adding MC to Steam could include (but not limited to) Connecting to friends straight from Steam instead of having to host a server and keep up w/ that, Mods and resource packs from the steam workshop, and who knows what could happen really? If it ever does though, it should be like Windows 10 edition where already PC users can have the download code free. I'd support this if this would ever be added. It would make so many things easier, from mods to connecting with people. Microsoft used to put games on Steam, but when they made the Windows App Store, they started putting their games on that platform instead. So, I would guess not anytime soon. Then again, Story Mode is available on Steam, so perhaps Microsoft might allow it on both platforms some day. It's not that big of a deal. Modpacks are easily accessible as is, and the only real benefit of having MC on Steam is a friends list. *cough* *Take a hint MC* *cough*. even though it isnt a steam game, i added minecraft as a non steam game to my library (bottom left option), and it gives you the steam shift+tab overlay in game. pretty useful IMO. "Endermen make terrible friends. Tiny slime is my new BFF"
No. There was a tweet from a Minecraft developer that I don't feel like finding, but it says why Minecraft would never come to Steam. You shouldn't have to use two accounts, a Minecraft account AND a Steam account to play the game. And this wasn't in the tweet, but before you ask, "why can't they just make it so you only have to use a steam account? ", then you wouldn't be able to play on normal Minecraft servers. There would have to be servers made exclusively for the Steam edition. You know, you could just add Minecraft to Steam. It's very simple; one of my friends does it. Actually, if they did it right you'd just merge your Mojang and Steam and it automagicly has you logged in. Other than that it would be the exact same game/code so the servers would be the same. The issue I see is selecting game versions or installing mods. Check me out on Youtube, Minecraftforum and PMC! Well, it's easy for you to say how easy it is. 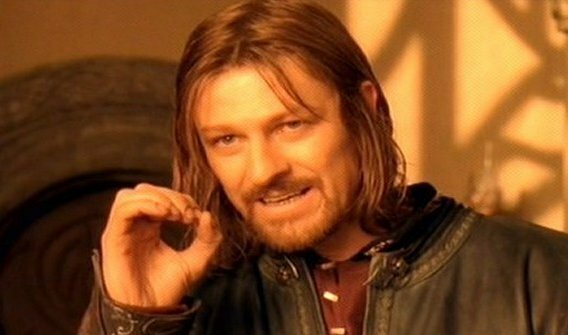 It does not simply. Just to make two accounts to work is one a ton of work (assuming they'll have create a service that will require both Steam and Mojang to expose their APIs in one, and also make it secure). Let's pretend that they have implemented this "automagical" merge of Mojang and Steam accounts. Now, Mojang has to release a new update of the minecraft server which will include that Mojang/Steam account authorization. This will take time. But hey, what about servers? Servers wouldn't be able to use that minecraft server version since most of them heavily depend on plugins. Let's see... oh, guys from Bukkit Spigot, Sponge or whatever platform servers use will have to adopt this authorization thing which will take even more time before players from Steam could play onto servers. Only then the servers would be able to use the new Mojang/Steam server, but wait... what about plugins? Since there's new update related to authorization, API may change drastically which will require rewrite of important parts of the code which require user handling. Don't make me started on how UUIDs and player skins are being handled from Steam users. As you can see, there is enormous amount of problems created just for making the two work. Other than that, you're right, it's "automagical" solution. It would probably expand their game and reach out to new people, but I highly doubt Microsoft will ever cooperate with Steam (due to competitive reasons, as I think was mentioned earlier). The part about Microsoft deciding to do it is true. The part about people having the same username is fixable without complications server-side. The simple solution is to have Steam users that buy the game through Steam create a Mojang/Minecraft username the first time they play. A small section of programming (compared to the entire game) is all it would need. The authentication system could stay exactly as it is. The people that decided to link their accounts would only have to sign in through steam once and then after that only have to login into their steam app and click play. A small window pops up for them to select a profile (Game Version/Forge Installation) to play or edit. Number 2 is more likely in my opinion however you could probably just modify/recode the current launcher to have a Steam GUI for Steam users.